The Rainbow Gate opens at 8.30am and closes at 8:45am. The Rainbow Gate opens from 3:15pm. Morning Nursery starts at 8:30am. Parents/Carers dropping off for the Morning Nursery please use the Rainbow Gate. Morning Nursery finishes at 11:30am. Parents/Carers collecting from Morning Nursery please use the gate on Blacker Road. 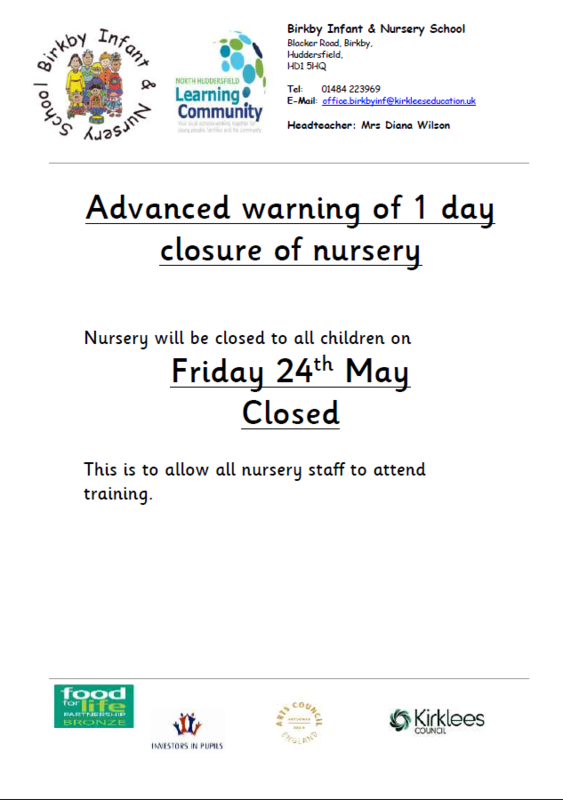 Afternoon Nursery starts at 12:15pm. Parents/Carers dropping off at the Afternoon Nursery please use the gate on Blacker Road. Afternoon Nursery finishes at 3:15pm. Parents/Carers collecting from Afternoon Nursery please use the Rainbow Gate. If you have an emergency and know you are going to be late, please contact the School as soon as possible so that we can inform the teacher and reassure your child. It is very upsetting for a child to have to enter a classroom or assembly after everyone has already started work OR to be left behind after school when they have seen all their friends go home with a parent/carer. Could you contact the school if you have arranged for a different adult to collect your child from school, as we will not allow your child to leave the school with anyone you have not authorised to collect your child.